2017 keeps getting better and better for the Hashtag Interactive fam: We’ve moved into our new Singapore office! Visit the newest Hashtag Interactive HQ at 374A River Valley Road and you might just get an adorable, furry welcome from our office pets. We’ve also scored some new digits. 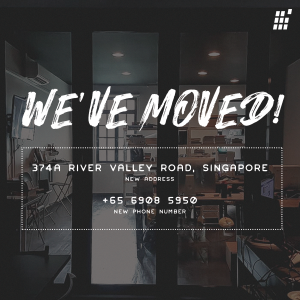 You can now contact us at +65 6908 5950 or drop us an email at hello@hashtag-interactive.com.